I wrote about the visiting coot a few posts ago, but there has been new developments in the local park, a few days ago two coots were present and today I counted three coots. They were quite dispersed in and around the pond, but from a particular location all were visible. If they are just coming in or they have been here all along since I saw the first one, I do not know. They are relatively vocal, appearing to keep in touch with each other. This afternoon, two of them seemed quite content, preening close to each other, while surrounded by playing children and lots of people in the park, they most likely dispersed from another park, where they have grown accustomed to people. 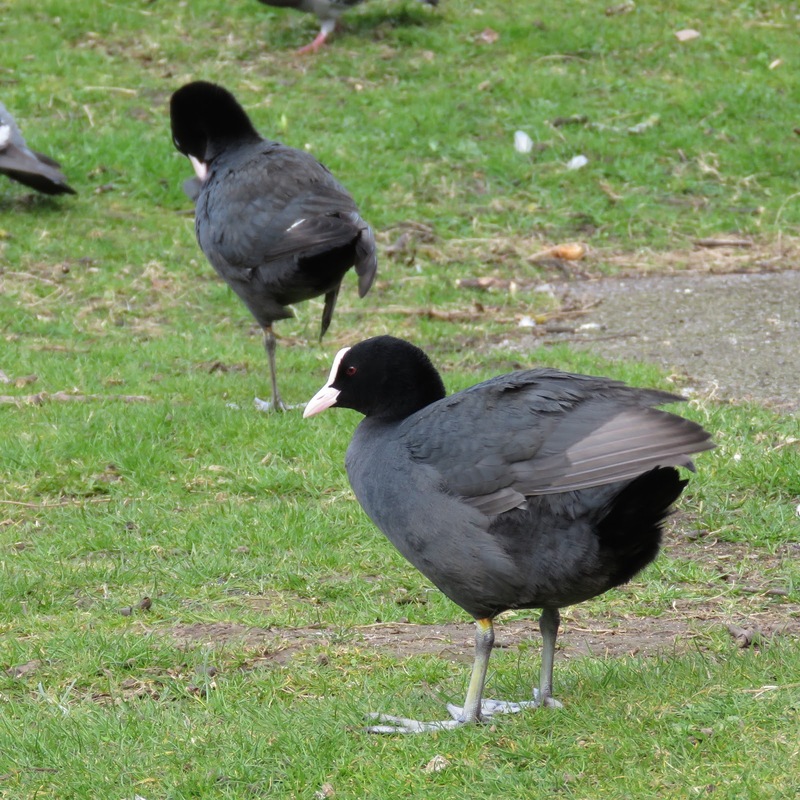 Male and female Coots have similar appearance, although males are larger and heavier, so possibly the individual in the foreground on the shot above, much larger, is a male. Male and female, however, have very distinct calls. I hope that at least a pair stays in the park as they will provide opportunities to get to watch them closely and learn more about their behaviour. 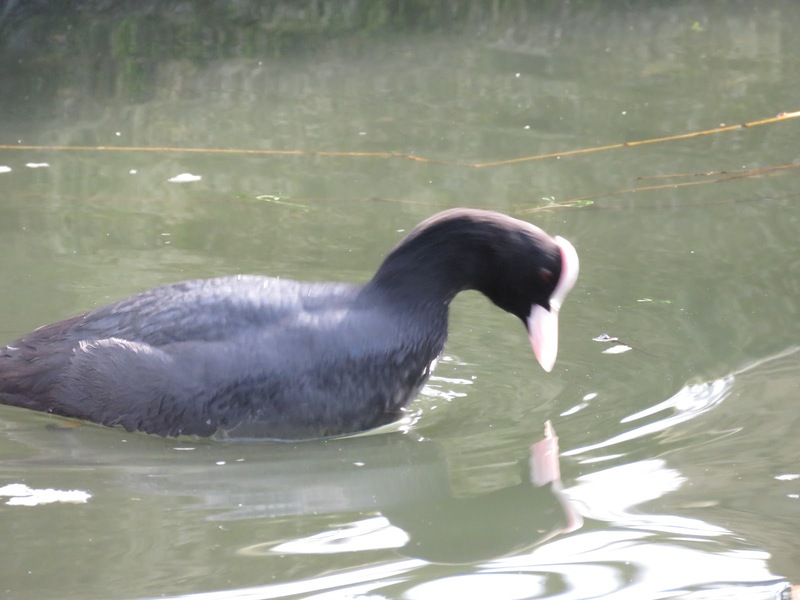 One of the coots being chased away by the resident Moorhen (with its nest in the island tree). 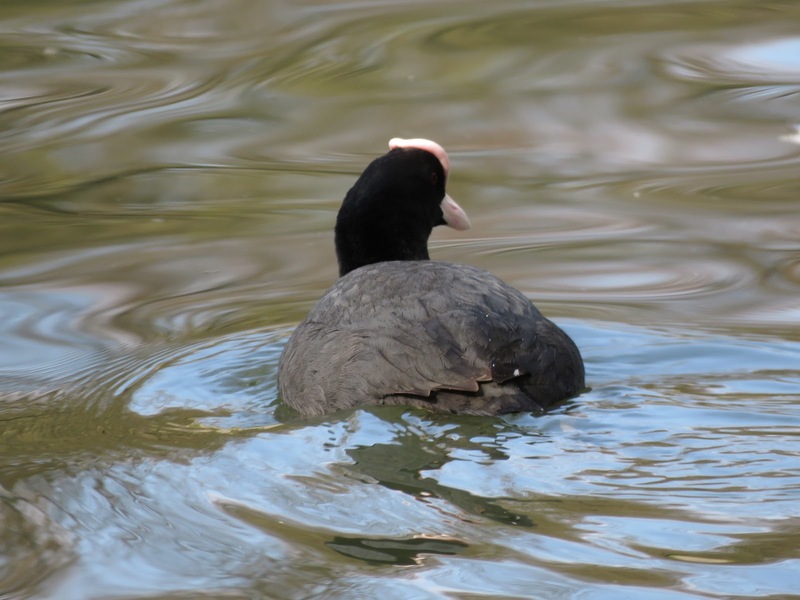 This is the third coot, note its very large frontal shield, protruding from the top of the head and stained pink. The two individuals at the top of the post have much smaller shields. 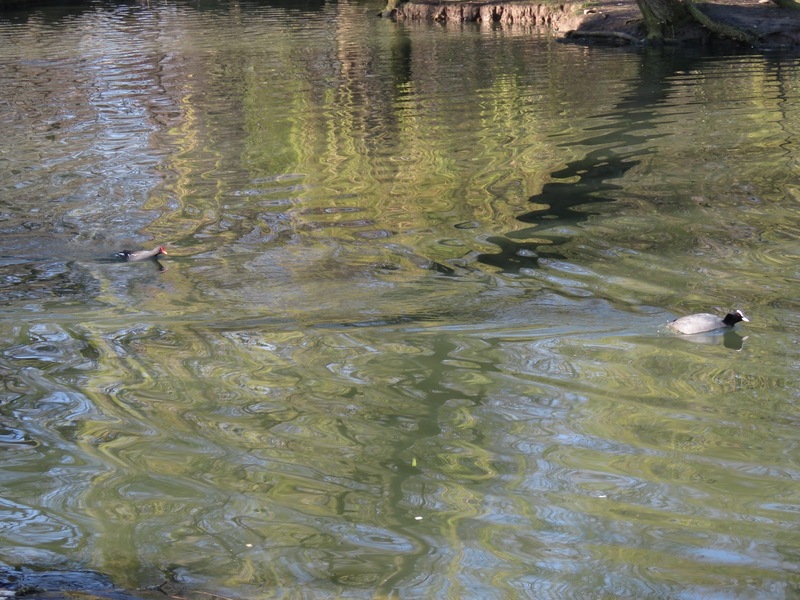 Surprised to see a Moorhen managing to chase away a Coot, even if it was on its own territory. Here is London, Moorhens are completely dominated by Coots. But northern Moorhens seem to be tougher.